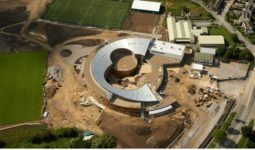 The project undertaken by H&J Martin Construction comprised the construction a new build ‘through age’ specialist school catering for pupils from Nursery age through to Sixth Form (3-19), a first of its kind in the UK. The school is arranged around communal spaces and intends to use the spaces for a wide variety of events and uses in the community, including music and drama performances, public meetings and evening classes for adult learners. This project involved the construction of a new community library offering extended out of hour’s services as part of a centre of learning in West Yorkshire. 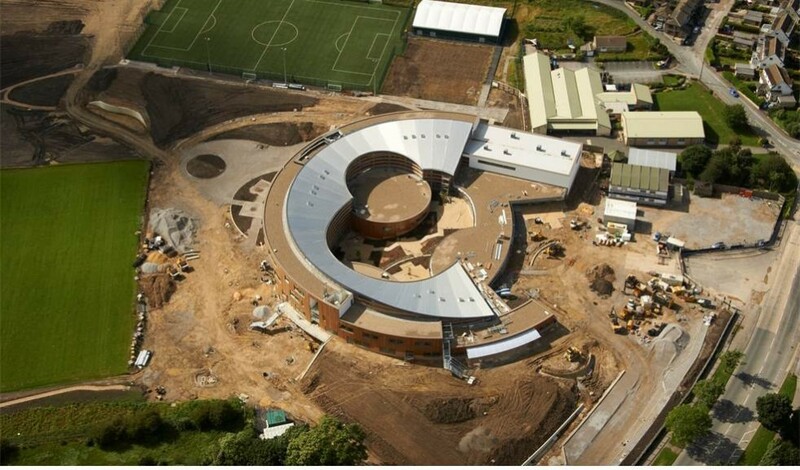 The Academy provides accommodation in a series of curved and stepped floorplates. The continuously curved walls provided an innovative solution to a very tight site space. The street frontage of the Academy features generous glazed screens containing the entrances to the building and is designed to convey an impression of transparency and accessibility. The teaching and administrative accommodation comprising the lowest storey of the building is clad in brickwork. A yellow / grey brick with a soft rather than a machined texture was selected, so as to harmonise sympathetically with the buildings in the neighbourhood. Away from the street frontage, the hard materials of the entrance elevation give way to a softer skin of timber cladding. The timber cladding is of natural untreated Western Red Cedar in vertical strips of varying width, two layers deep, giving a random, three dimensional effect. Both the brick and timber cladding materials lend themselves to creating the predominantly curved façades of the Academy building.